2 Hot baths or showers. 4 You spend more time with your TV. 5 Your friends are also lonely. 6 You feel more anxious or stressed. 7 You've put on some weight. 8 You're sick more often. 9 You become more depressed. How Can You Deal with Loneliness? Everyone feels lonely from time to time, and some of the greatest musicians have sung about it. 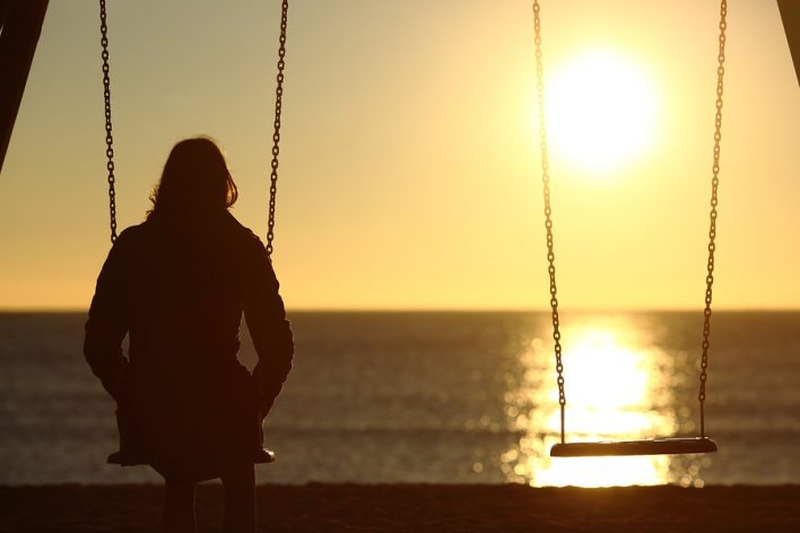 While loneliness can be a common emotion, it can often become a powerful feeling that leads to depression or dejection. Feeling lonely can be a good thing every once in a while, but you want to be able to identify the signs of loneliness before they spiral out of control. Feelings of loneliness can have a negative effect on your sleep pattern. Those who felt lonelier had more nights of restless and fragmented sleep. While you may be getting the same amount of hours of sleep each night, you actually wake more throughout the night without ever realizing it, which results in you feeling more tired. You might not be aware of it but if you find yourself indulging more often in long hot showers or baths, this could be a clear sign that you are feeling lonely. Hot showers and baths can be comforting and soothing, which is why individuals who are lonely tend to take more showers for longer periods of time than individuals who did not feel isolated or alone. You can't buy happiness but that doesn't mean that when you are lonely, you won't try. Individuals who feel lonelier will often feel the need to spend more or obtain more material possessions. This is because shopping can supply a temporary relief from the feelings of loneliness. Not only will you feel the need to spend more when you are lonely, you will have a stronger attachment to the objects you buy. You spend more time with your TV. Spending the night in every once in a while is OK and wanting to catch up on your favorite TV show is acceptable as well. Binge watching television shows on a regular basis, however, can be one of the more common signs of loneliness. Most individuals who are feeling lonely will binge watch television shows to help distract them from what they are feeling, which can lead to feeling even more isolated. Your friends are also lonely. There's a greater chance that you will suffer from loneliness if you surround yourself with people who are also lonely themselves. Females are more likely to suffer from “catching” loneliness from their circle of friends, and this can be the reason you are feeling lonelier. Individuals who did feel lonely were also more likely to have fewer friends. You feel more anxious or stressed. Has every minor problem or issue felt like a major obstacle to you? Getting stuck in traffic, a rainy day or bad service when you went for your morning coffee can all seem like the worst thing in the world when you are feeling lonely. Individuals who reported that they were lonelier often felt more anxious and stress. This is because they automatically begin to look for social threats and setbacks. You've put on some weight. If you find yourself wondering why your favorite jeans don't fit anymore, this could be an indication that you are feeling lonely. Individuals who experience more loneliness tend to sit around more instead of getting out and being active, which obviously will result in unwanted weight gain. Those who are more social will often weigh less than those who feel socially isolated and alone. Another one of the signs of loneliness could be that you are feeling under the weather more often. With the increase of stress and decrease of physical activity, the immune system becomes weaker. If you have caught the cold more times than you can count or just feel sick more often, this can be a result of loneliness. Being socially isolated will often lead to more severe mental health problems, especially depression. When you suffer from feelings of loneliness for a prolonged period of time, there is a greater chance that you will become depressed. While this isn't always the case, ignoring your feelings of lonely can end up leading to a more depressed state of mind. If you feel like you have any of these signs that indicate you are suffering from loneliness, it is best to know how you can handle these feelings. Try some of these tips and suggestions to help you feel less lonely. Embrace some self-care by taking a course. There are plenty of online courses you can sign up for that will help you focus on yourself and feel better about yourself. Talk to a family member or friend you might be neglecting. Sometimes just hearing a familiar voice is enough to help you out of your loneliness and often times, the person you call will be excited to hear from you. Get up and dance! Even if you are by yourself, you can still get up and get moving and dancing can make you feel instantly better. Take a break from social media. One of the signs of loneliness you might not want to admit to is how much time you spend on social media. This supplies you with a false sense of belonging and will often have you feel more lonely when you see so many others enjoying time with their loved ones and friends. Don't be ashamed to cry it out sometimes. We all want to hold in our true feelings as adults, but sometimes it is best just to let it all out and just cry. Try to volunteer your time instead of just spending it alone. Not only will this get you out of the house, but you might also make some new friends as well as feel better about yourself in the process. Be more grateful. When you express more gratitude, then you will not only cherish the things you have, you will also be able to see more positive things throughout your day. Daily gratitude practices can lead you to living a more fulfilling life as well as helping you properly face your feelings of loneliness. Server responsed at: 04/25/2019 3:50 p.m.